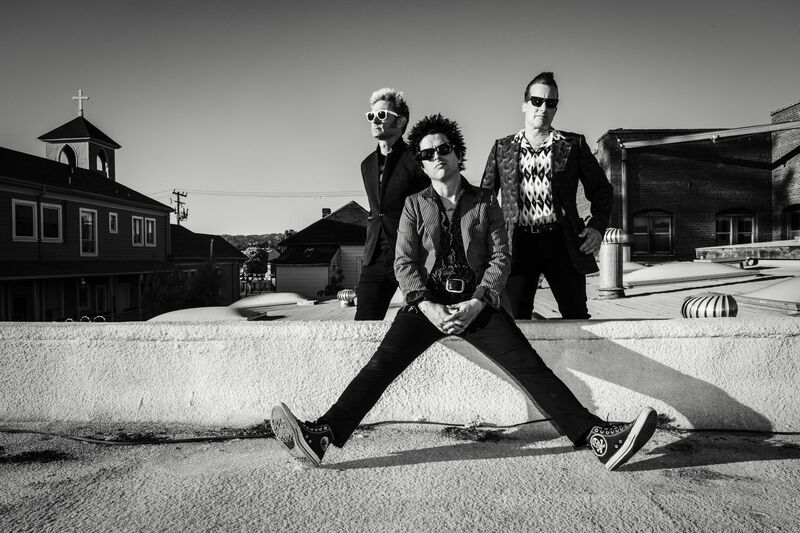 Their politically-induced first single in four years, 'Bang Bang' is Green Day back on form. After the lacklustre ¡Uno!/¡Dos!/¡Tré! trilogy of 2012, Green Day’s return screams the long-awaited reemergence of their anti-establishment, political, punk-based aesthetic that we’ve all been waiting to hear again. ‘Bang Bang’ is the first single from the upcoming Revolution Radio and is just as dismal lyrically as anything from their politically-driven records American Idiot and 21st Century Breakdown. Rooted firmly within the bands punk roots, punching you in both the face and gut with thunderous bass from Mike Dirnt, Tré Cool’s reverberating drums, Billie Joe Armstrong’s iconic vocals, and their quintessential power-chord-driven, distortion-fulled riffs. Even just judging Revolution Radio by its lead single, it already sounds far more polished and thought-out. A major culprit for this may be the band’s move back to political commentary, with Armstrong spending more time involved in the subject matter. ‘Bang Bang’ stems from him joining a protest in Manhattan against the Missouri Grand Jury’s decision to not indict police officer Darren Wilson for the unjust killing of Michael Brown. “I got out of my car and marched with the people,” he says. “It was a trip to see people rebel against the old order”. Revolution Radio as a whole looks set to be no different to those two, focusing on America’s contemporary chaos with mass shootings on the rise and relatively nothing being done regarding gun control measures to curve the problem at hand. It’ll be interesting to listen to American Idiot, 21st Century Breakdown, and Revolution Radio side-by-side to determine whether the conclusion to Green Day’s latest trilogy will be able to follow on and infer the changes in America’s political climate over the past 12 years.